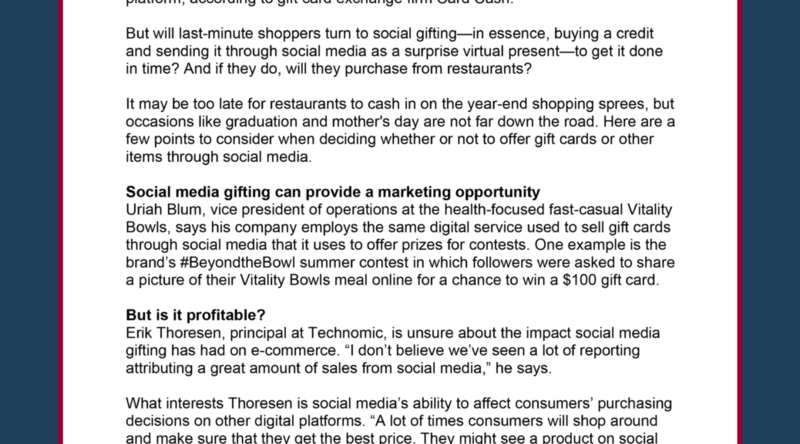 All Points PR secured a piece with Restaurant Business for client Vitality Bowls and its use of social gifting. The article positioned Vitality Bowls as an industry leader and even highlighted some successful social media campaigns. Coverage ran in print and online.